Welcome & Congratulations to our newest Franchisees. Keith & Lisa and George and Andrea. They are already off to a fast start. Before the ink was dry on the franchise agreement our national land brokers Morrow Hill were already looking for land for their first self-storage! When we met with Keith & company, Keith had done extensive research on Self Storage, Storage Authority and even myself (Marc Goodin). When we were done with our meeting I asked if they needed anything else to make a decision and Keith surprised me with: “I just need to do more research to see if I could find any reason not to get on board”. I think research is important, but you could look forever for a reason not to do something and never find it. 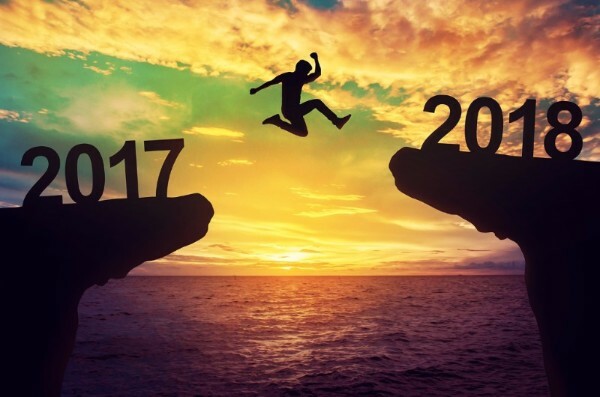 In the end, starting a new self-storage business or any business is partially a leap of faith. But if you believe in yourself, and have done your research on self-storage and Storage Authority it is an easy choice in the end. Scott House our co-Founder has received his site plan approvals and just finished up Architectural and construction is slated to Start Jan 2018 on his Mulberry Florida Storage Authority Facility. He has decided to build 70,000 sf in phase 1. Scott Found his land this summer so he has been going at a sizzling pace. Ed & Jenny site plans have been approved and are slated to start construction this January on their Houston facility. They are building in 2 phases with phase 1 being 30,000 sf. As part of our Dynamic Ease Self Storage Development Series, we help our franchise understand the options and prepare accordingly. Let the experts help you find Land. Storage Authority & Morrow HillOur goal is to have you looking at land choices within 30 days of becoming a Franchisee. It takes most people longer than 30 days to find a broker and another 30 days for us to educate them on self-storage land requirements. And then they are often just passing along LoopNet sites. To make sure this is not your plan we are excited to introduce our national land brokers Morrow Hill. We start by understanding you, your goals and your finances. Unfortunately, most people and brokers start by looking on Loopnet. Big mistake, as LoopNet is where we find about 10% of our self-storage sites. If that’s your plan or your brokers plan it could take you several months if not longer to find the right parcel of land for you. Next, we provided 30 minute driving maps from your home or from the center of where you want your facility. This map will also show the existing self-storage facilities and the area road network. An areal view will also help you understand the population density. From this, you can start to understand the existing self-storage density along with changes to the population density. We then typically choose the center of the area you want to find land in and draw a 1 & 3-mile radius. 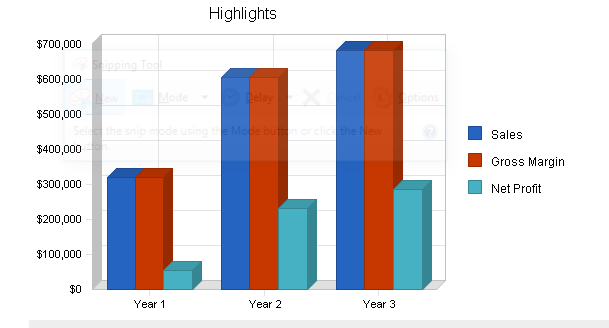 This, in turn, allows you to understand the general size of the competition impact area. 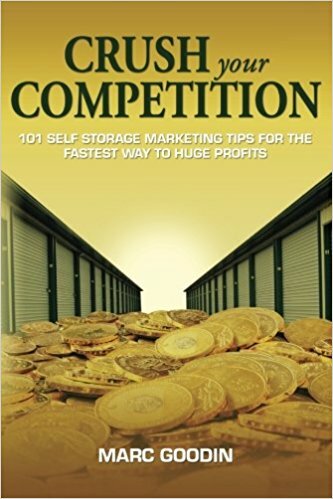 The next step is choosing a broker and educating them on self-storage. This can take time. The Storage Authority Dynamic Ease Development Series has multiple sections to help you and your brokers find land. And of course, we are there every step of the way as well. I hate to say it but many of our franchisees have told us they often do not even get callbacks from agents for days. To reduce the time to find land we have added Morrow Hill as our preferred national brokers. They understand Franchisees, Storage Authority and know how to find land. If you have a great commercial land broker that’s great just make sure they have the Storage Authority land requirements and worksheets from our Dynamic Ease Development Series and have the expertise to use all the tools required to find land fast. One of the many questions I would ask is, excluding LoopNet how would you help us land? The second pitfall in finding land is understanding if you need 5 acres of land, that any 5-acre parcel may not meet your needs for so many reasons and takes substantial investigation. This is because there are so many things that can reduce the usable area including wetlands, flood planes, easements, deed restrictions, utilities, zoning, stormwater detention, endangered species, topography, and even neighbors. And of course, the 3-mile population density and amount of existing self-storage in 3 miles, traffic counts, visibility, access, pricing are critical to the decision making process. As a civil engineer and site plan designer for 30 years, I learned site development in the trenches and I am ready to share them with you and your team. Of course in many respects, I am a part of the Morrow Hill team because we are always sharing our ideas on land and we will continue to learn together. If you have questions about Storage Authority Franchising or finding land for your next self-storage project give us a call. So why develop a self-storage facility with Storage Authority to add to your portfolio? For one, it’s recession-proof. This was proven by Forbes 400-member B. Wayne Hughes when he built a $2.4 billion fortune on self-storage. He was clearly doing something right. You can’t argue with that. In a bad economy, people start trading in luxury goods for, well, fewer luxury goods. Apparently, storage units, are – ding ding! – not luxury! Which turns out to be their appeal. In fact, during the 2008 economic downturn, self-storage was the only REIT sector that posted a positive return of five percent including dividends. We think that’s kind of big deal. Storage facilities need little capital outlay or upkeep, their property taxes are modest, and net acquisitions in that sector have surged. *Forbes (I may have to differ with Forbes a bit as self storage does seem to pay a hefty tax. Marc Goodin)Even in the cities with the newest construction, developers can still find opportunities to build new projects. “Self-storage is a three-mile business,” Most Customers are not likely to use a self-storage facility more than three miles from their home. That means that developers don’t need to worry as much about competing properties that are four or five miles away. “Self-storage properties compete in such micro markets that it all depends,” says Ryan Burke, an analyst with Green Street Advisors, a real estate research, and analysis firm. Developers can still find opportunities to build new projects. Click here to Get Pre-Qualified to Begin your Journey to Financial Freedom with Storage Authority Franchising! It’s only a dream until you write it down then it becomes a goal. Write down you will have a goal to begin construction of your self-storage facility in 2018. Put it on the mirror where you can see your goal and visualize it daily. Start today, take the leap of faith and never look back! Recent Storage Authority Blogs You Will Enjoy! 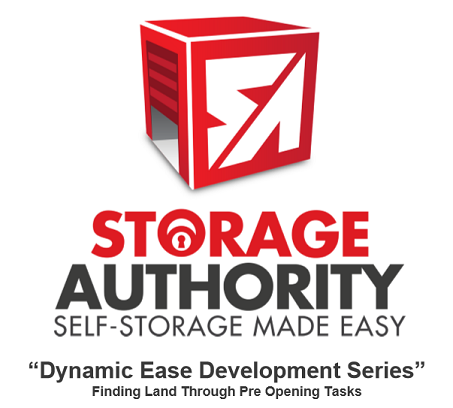 Storage Authority proprietary “Dynamic Ease Development Series” Finding Land Through Pre-Opening Tasks. When should you start your self-storage construction financing plan? Please share! We Love Referrals.